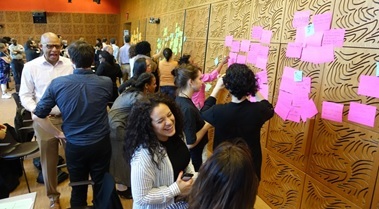 Part one of this post discussed the New York City Cultural Agenda Fund’s racial justice leadership training for arts and cultural advocates. 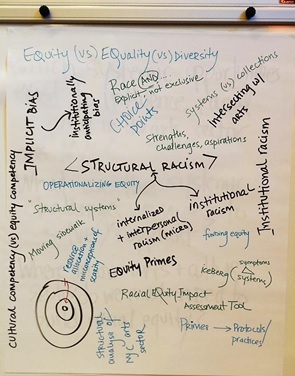 In addition to learning how to distinguish between key terms—diversity, equity, equality, inclusion—advocates considered how they might make better choices at their organizations to advance racial justice in the cultural sector at large. Think systemically to combat structural racism, the cumulative effect of racial biases across institutions and society. A thorough understanding of context leads to effective interventions. 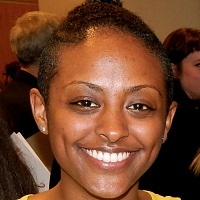 Advocating as a sector for formal opportunities to integrate culture into other City agencies, beyond the Department of Cultural Affairs. Does your foundation support related initiatives? The New York City Cultural Agenda Fund would love to hear from you. Contact us to share some examples that we can pass along to advocates in our program, or to learn more about activities and additional content generated by participants (see pictures below). Thanks to Race Forward for facilitating this thoughtful session. Be sure to read our next post about advocates’ communications training with The Opportunity Agenda, where they learned how to frame messages rooted in shared values. Snapshot of facilitators’ poster board after presenting various concepts throughout the day. 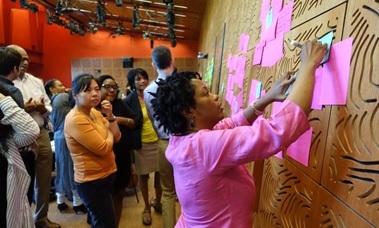 Facilitator Melinda Weekes-Laidlow leads advocates in assessing strengths of, challenges within, and aspirations for the City’s cultural sector. Also pictured above (whose faces are visible, left to right): Margaret Chen, National Museum of the American Indian – NY; Tamara McCaw, BAM; and Sandra Bowie, Ifetayo Cultural Arts Academy. 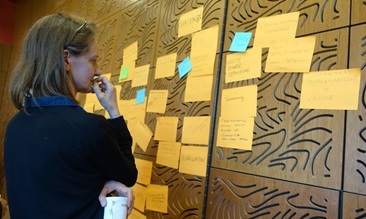 Edith Meeks, Executive Director of HB Studio and participant in the Cultural Advocacy & Equity Program, ponders barriers to advancing cultural equity in New York City. Advocates pictured above (whose faces are visible, left to right, top to bottom): Eric Pryor, Harlem School of the Arts; Frances Lucerna, El Puente; Linda Walton, Harlem Arts Alliance (bottom); Christina Martinelli, Printed Matter; and Maritza Carmona, Friends of the High Line.